This is guaranteed to make your blood boil. 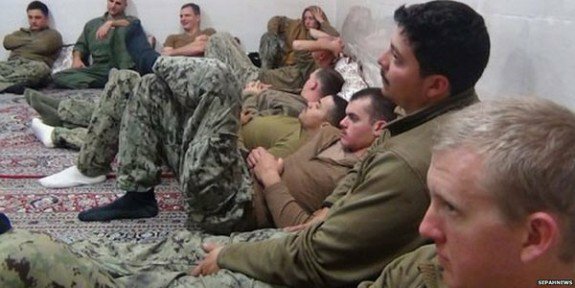 The Iranians are now claiming that our sailors cried when they were captured, but the kindness of the IRGC made them feel calm. What utter bull crap. It is more propaganda to make America look weak and it is just an outright lie. You can’t believe a thing these trolls say. 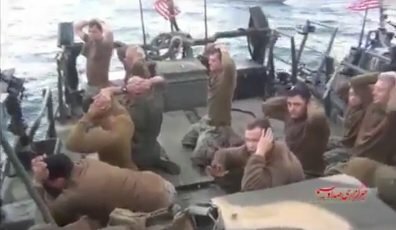 The Iranian military celebrated the capture, apology and subsequent release of our sailors this week. This morning, Iran released four Americans in exchange for six or seven people who were in prison after violating sanctions concerning Iran. The names of those who had Interpol red notices lifted by the State Department, the Department of Justice and the White House are as follows: Mohammad Abbas Mohammadi, Kurosh Taherkhani, Sajjad Farhadi, Seyed Ahmad Abtahi, Gholamreza Mahmudi, Hamid Arabnezhad, Ali Mo’attar, Mohammad Ali She’rbaaf, Amin Ravan, Behruz Dowlatzadeh, Said Jamili, Jalal Salami, Matin Sadeghi and Alireza Mo’azami-Gudarzi. Today, Barack Obama issued at least 3 pardons to Iranians in US prisons for violating Iran sanctions. Likely, there are other prisoners that will be part of a future swap in coming days. Meanwhile, during Friday prayers in Iran, a commander of the IRGC unit that detained the US boats and claimed that the American military cowered when faced down by Iranian troops. “I saw the weakness, cowardice, and fear of American soldiers myself. Despite having all of the weapons and equipment, they surrendered themselves with the first action of the guardians of Islam,” Ahmad Dolabi, an IRGC commander, said in Persian-language remarks at a prayer service in Iran’s Bushehr providence. “American forces receive the best training and have the most advanced weapons in the world,” he added. “But they did not have the power to confront the Guard due to weakness of faith and belief.” Dolabi emphasized that the Obama administration formally apologized over the incident, a claim that senior White House official continue to dispute. “We gave all of the weapons and equipment to American forces according to an Islamic manner. They formally apologized to the Islamic Republic,” Dolabi said. “Be certain that with the blood of martyrs, the revolution advances. No one can inflict the smallest insult upon our Islamic country.” I don’t know about you, but I consider this a stone cold act of war and a violation of the Geneva Convention. It makes me angry beyond words. There will be a day for reckoning on this, mark my words.